Come celebrate April's Full Moon and welcome the beginning of warmer days with us! 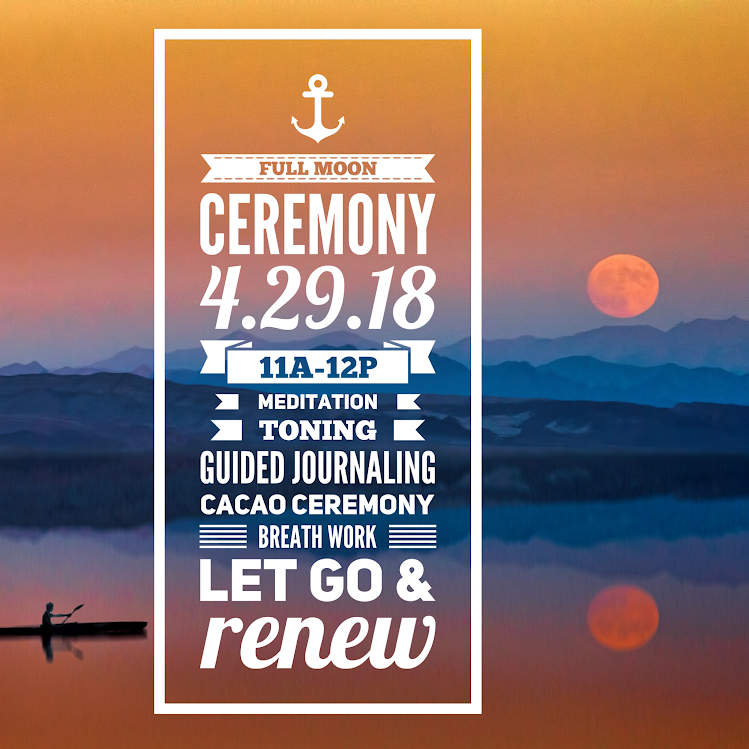 Join Caryn O'Hara and Elli Richter for this special morning Full Moon Ceremony with meditation, toning, guided journaling, breath work and a cacao ceremony. This event is $22 and will take place from 11:00 am - noon on Sunday, April 29th.